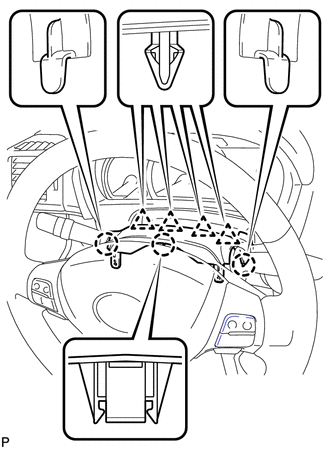 (a) Engage the claw to install the windshield wiper switch assembly as shown in the illustration. 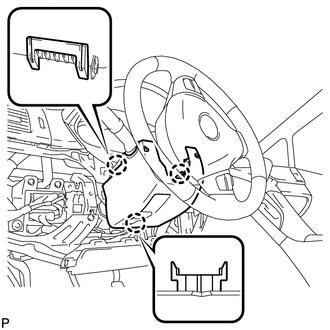 (a) Engage the 3 claws and 4 clips to install the upper steering column cover to the lower instrument cover. 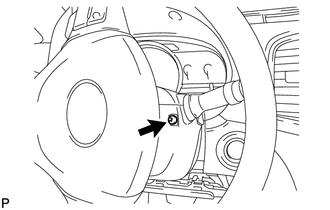 (a) Engage the 3 claws to install the lower steering column cover to the upper steering column cover. 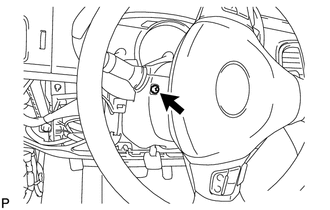 (b) Turn the steering wheel assembly to the left and install the screw shown in the illustration. 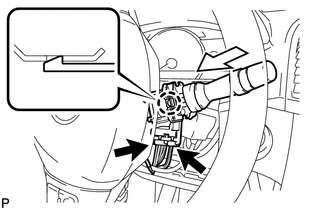 (c) Turn the steering wheel assembly to the right and install the screw shown in the illustration.